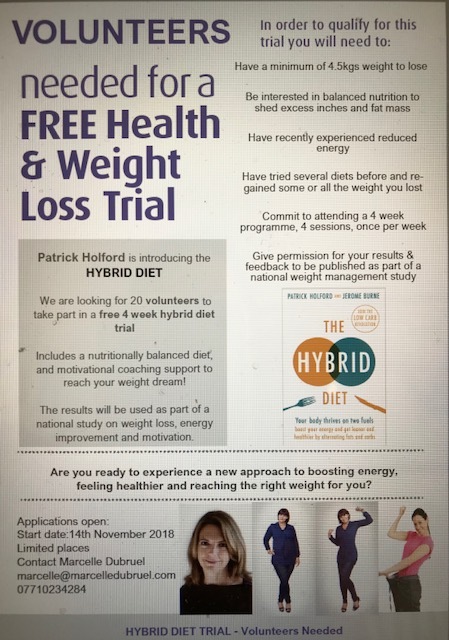 Patrick Holford is introducing his new Hybrid diet and we are looking for 20 volunteers to participate in a 4 week Hybrid diet trial, starting in November. Ready to try something new, gain energy and reach the right weight for you? Learn about the two sources of fuel, your body relies on for energy and follow a tasty and nutritious menu plan which supports your health, energy and weight. 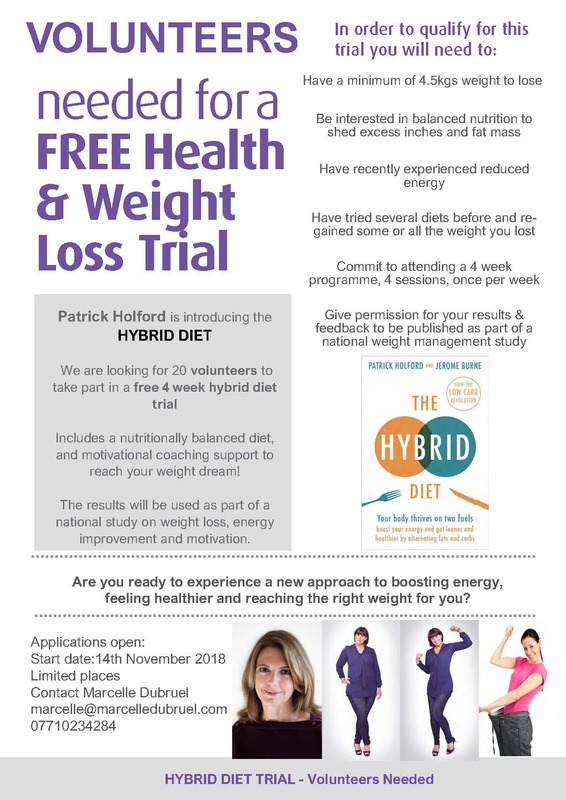 Includes Motivational Coaching to support you throughout the 4 week process and fast track you to the results you want!